Over this same time period, there was an increase in the number of improperly licensed motorcycle drivers who were killed in fatal crashes. Motorcycle crashes have the potential to cause catastrophic injuries to motorcyclists, leaving them unable to work or engage in the same work or activities as before and (potentially) unable to walk or live independently. This makes motorcycle crashes extremely expensive for injured motorcyclists and their families. 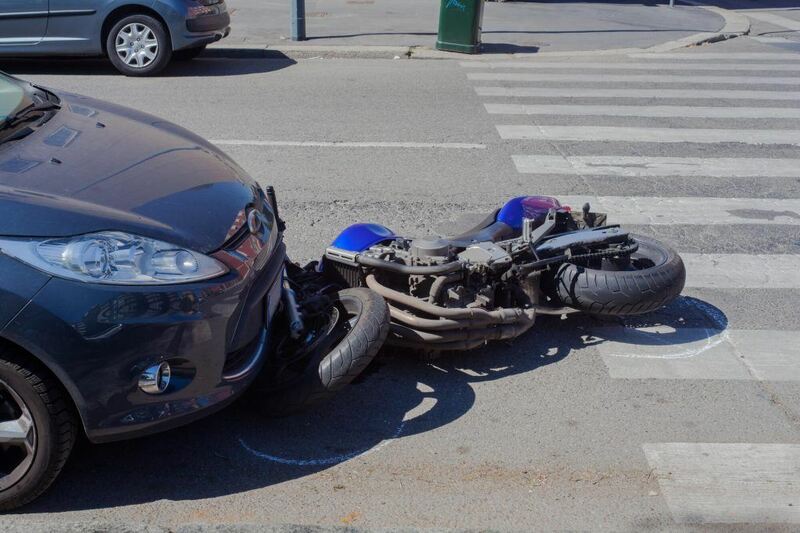 Through a motorcycle crash lawsuit, however, injured motorcyclists whose crash was caused by the careless actions of another person may be able to recover compensation for their injuries. Failing to check one’s “blind spots” before switching lanes, turning, or opening one’s car door. A motorcyclist’s own behavior and conduct can contribute to his or her injuries: for example, riding without a properly-fitted and approved helmet can increase the chances of the motorcyclist suffering a traumatic brain injury or spine and neck injury. Failing to wear proper protective clothing can likewise increase the chances of the motorcyclist suffering severe “road rash” – scrapes, cuts, and lacerations attributable to the motorcyclist skidding or sliding across pavement after having been thrown from his or her motorcycle. Even where a motorcyclist’s own behavior is potentially negligent, however, California law may still allow the motorcyclist to recover some compensation from another driver or motorcyclist who also contributed to the crash and the motorcyclist’s injuries. It is best to discuss your case with a Roseville motorcycle lawyer who can advise you whether you have a viable claim and, if so, what facts or circumstances about your case might result in a diminution of your recovery. The severity of a motorcyclist’s injuries will depend on a number of factors, including the speed of the vehicle and/or motorcycle at the time of the collision, what protective equipment the motorcyclist was using, whether the motorcyclist was tossed from his or her bike, what objects the motorcyclist collided with after being thrown from his or her motorcycle, and other similar factors. If you are a motorcyclist and you have just been involved in a motorcycle accident, your first concern should be seeking immediate medical evaluation and treatment. Prompt medical treatment is essential to preventing any injuries you sustained from worsening or becoming more problematic to treat. Even if you feel fine or do not believe you have been seriously injured, you should still seek medical evaluation to ensure that you do not have any internal injuries that have simply not yet manifested symptoms. Obtain the name, contact information, and insurance information of any other driver involved. If the driver who caused your accident flees the scene, try to write down as good of a description as possible of what the driver looked like and his or her car. Make sure to deliver this information to the police and keep a copy for your own records. Obtain the name and contact information of any witness present at the scene who says he or she observed the accident occur. You may need the testimony of these individuals to help you succeed in your motorcycle accident lawsuit. Take photographs of the accident scene with a smartphone. Try to take as many pictures as possible of the entire accident scene, the vehicles involved, the debris created by the accident, your injuries, and road signs and road markings that may be present around the scene of the crash. It is better to take too many pictures than to take too few. Get the name of the officer, his or her department, and his or her badge number who investigates the accident so that you can later obtain his or her police report and any accompanying pictures or diagrams. This may provide you with additional evidence to support your claim for compensation. In addition, as soon as possible following the accident you should write down how you remember the accident occurring in detail. Try to retain as many facts as you can and make your writing legible. This will prove useful when you need to provide a description of the accident as you will not have to rely upon your memory to fill in important details. The video below provides some tips on what you should do following a motorcycle accident. If you have been injured in a Roseville motorcycle crash, you are probably focused (and rightly so) on your recovery and rehabilitation. A Roseville motorcycle crash lawyer can help you protect and assert your legal rights during this time. I’m Ed Smith, a Roseville Motorcycle Accident Attorney, with the primary accident information site on the web, AutoAccident.com. 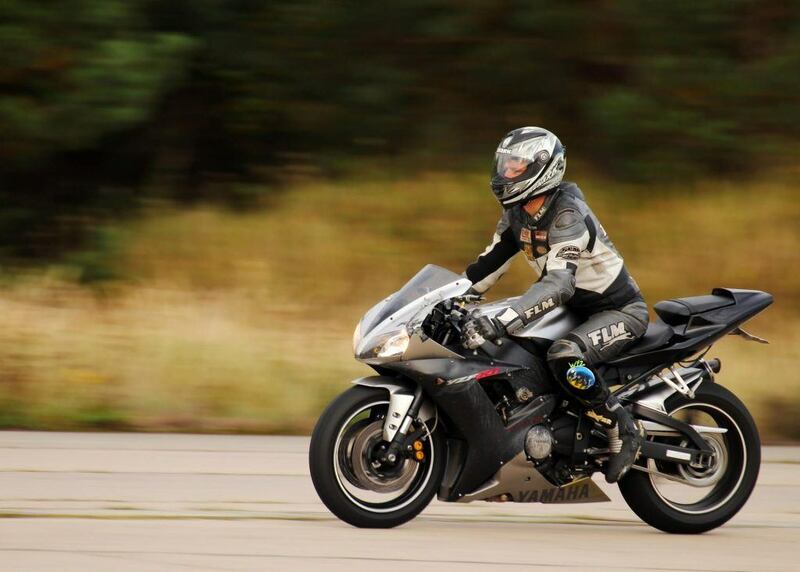 I have been helping injured motorcyclists in and around Roseville for over thirty years. If you or a loved one has suffered a serious injury during a motorcycle accident in Roseville or elsewhere in California, call me now at 916.921.6400 or 800.404.5400 for fast, friendly advice. You can find out more about my office on Yelp, Avvo, and Google. I am also a proud member of the Million Dollar Advocates Forum.